The following events appear in Natural Awakenings – Westchester, Putnam, Dutchess NY, November 2017 Edition. Kundalini Yoga & Gong Meditation – 7-8:30pm. With Pritam Bani Kaur. Use movement, sound current, breath and meditation to relax, heal mind and body. All levels. First class free. $20 drop-in. Devotion Yoga, 2055 Albany Post Rd, Croton on Hudson. 914.930.7707. DailyDevotionYoga.com. Stop Brain Fog: Memory Gaps, Foggy Thinking, Depression and Obsessive Thinking – 7:30pm. Learn alternative methods for optimal brain functioning. $15. Lakeland Copper Beach Middle School. 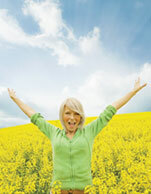 Get Rid Of Pain Naturally—Aches, Pains, Backache, Headaches and Muscle Ache – 7:30pm. Discuss integrative methods to get rid of pain naturally. $15 take a remedy home, plus $5 material fee. Lakeland Copper Beach Middle School. Bonnie: 914.923.4346. BonniesHerbals.com. Restorative Yoga for Lyme and Chronic Illness – 12:30-1:45pm. With Janet Jemmott. Gentle movement, constructive rest, pranayama and guided meditation. $20 suggested donation to benefit The Lyme Connection. 845.878.7800. InnerBalanceStudio.org. Collage Quest: Accessing Your Inner Guidance with Color – Nov 4 and 11. 1-5pm. With Donna Thompson. Experience collage as a meditative path to creativity and self-discovery. $150 two sessions. $75 each. Sacred Spirit Yoga and Healing Arts Center, 343 Broadway, Dobbs Ferry. SacredSpiritYogaCenter.org. Essentials for a More Easeful Birth: Couples Labor & Delivery Workshop – 1:30-5:30pm. With Kelly. Learn effective techniques for coping with the challenges of labor and more. Quest Yoga Arts, 11 E Main St, Mt Kisco. Preregister: 914.241.9642. QuestYogaArts.com. First Sunday Free Meditation and Satsang – 11:30am-12:45pm. With Gabrielle Semel. Inner Balance Studio, Patterson. InnerBalanceStudio.org. Psychic Development at Synchronicity with Carla Blaha – 12noon-1:30pm. $40. 1511 Rt 22 Brewster. Call Synchronicity to reserve space: 845.363.1765. Info: synchronicityny.com. Free Tibetan Sound Bowl Journey – 2-2:30pm. With Carol. Experience the inner peace of sound bowl healing. A free sample of the scheduled Nov 19 workshop. Quest Yoga Arts, 11 E Main St, Mt Kisco. Preregister: 914.241.9642. QuestYogaArts.com. Free Lecture: Arthritis and Autoimmunity—Treating the Cause with Ayurveda – 12:30-2pm. Presented by Dr. Kaushik’s Ayurvedic and Naturopathic Clinic. Armonk Library, 19 Whippoorwill Rd E, Armonk. 914.273.3887. DrKaushik.com. The Best Way to Eat – 6-7:30pm. Masters Holistic Health Series with Dr. Michael Wald. Eat, absorb and activate foods via food-nutrition timing. Free. 86 Smith Ave, Ground Flr, Back Entrance, Mt Kisco. Must RSVP: 914.552.1442. BloodDetective.com. Acupressure Workshop – 7-8:30pm. Learn potent acupressure points that can easily access target issues such as back and neck pain, headaches, anxiety and insomnia. $25. SkyBaby Studio, 75 Main St, Cold Spg. 845.265.4444. SkyBabyYoga.com. Women’s Wisdom Group – 10:30am-12:30pm. Share, connect and collaborate with other women in a secure and open environment. $50 drop-in. 501 Guard Hill Rd, Bedford. Fee pkg options: 914.218.3113. SlowMedicineTherapist.com. Slow Medicine Study Group – 6-8pm. Receive Slow Medicine Doctor’s feedback on any health issue participant or loved one is experiencing in an open, relaxed and conversational environment. $45 drop-in. $100 for three. 223 Katonah Ave, Katonah. 914.218.3113 SlowMedicineTherapist.com. Combatting Negativity in Your Daily Life – 6:30-8:30pm. Learn tools and rituals for protecting one’s emotional and spiritual space from the negative images, words and energy possibly encountered daily. $25. DG Sanctuary. 2 Lagrange Ave, Poughkeepsie. 845.473.2206. DreamingGoddess.com. Plant Spirit Meditation – 7pm. Connect with spirit of the plants and gain insights and wisdom. Facilitated by Karine Gordineer of Green Girl Herbs and Healing. Hands of Serenity Healing, 1129 Main St, Fishkill. Register/class fee: 845.896.1915. HandsOfSerenityHealing.com. Crown of Eternity Live in Concert: Exploring Consciousness through Sound – 7-9pm. $45. Golden Prana Yoga, 223 Katonah Ave, Katonah. Preregistration required: 914.232.3473. Food Changes Everything – 7-9pm. Food choices are the most important factor in determining long term health. Sarah’s House of Health, 900 S Lake Blvd, Mahopac. Info, Sarah Montgomery: 845.803-8028. Aromagathering – 6-8pm. Sample, experience, and learn how to incorporate the healing powers of essential oils into everyday life. Young Living Oils available for purchase. Reviva Skin and Body Solutions, 929 Main Street, Fishkill, NY. RSVP required: 844.363.7894. Revivabody.com. Deep Restorative Yoga with Assists – 7-8:30pm. With Patricia and Sandra. Props used to assist in holding poses for extended periods to experience progressive relaxation and more. All levels. $20 drop-in. Sacred Spirit Yoga and Healing Arts Center, 343 Broadway, Dobbs Ferry. SacredSpiritYogaCenter.org. Firefly Grand Re-Opening Celebration – 7-9pm. 992 Main St, Fishkill. FireflyFishkill.com. Kundalini Yoga Retreat Weekend for Empowerment – Nov 10-12. Release unwanted habits and empower self-healing. $250 entire weekend. Golden Prana Yoga, 223 Katonah Ave, Katonah. Preregistration required: 914.232.3473. Healing Circle for Stress Reduction and Health Enhancement – 12:30-2:30pm. With Anne Bentzen. Deep relaxation with Reiki offers natural healing solutions in group setting. Reiki Master. Max 12. $30. Apogee, 170 Harris Rd, Bedford Hills. RSVP/info: 914.244.1606. Dao of Food: Autumn. Lungs + Large Intestine – 6:30-8pm. With Lifted Heart Acupuncture. Discover the food energetics of autumn foods. RSVP by 11/9. $30. $50/2. Includes soup, entree, dessert, tea. Good Choice Kitchen, 147 Main St., Ossining Info: goodchoicekitchen.com. Archangel Healing Workshop – 7-9pm. with Shaman Elka Boren. $35. 1511 Rt 22 Brewster. Call Synchronicity to reserve space: 845.363.1765. Info: synchronicityny.com. Aromatherapy Workshop – 7-9pm. With Danielle. Learn about essential oils and how they can help supplement well-being. Quest Yoga Arts, 11 E Main St, Mt Kisco. Preregister: 914.241.9642. QuestYogaArts.com. Sound Bath – 7:15-9pm. Gina Kjek. Guided mindfulness meditation, crystal singing bowls, sonic tuning forks, rattles, chimes, tank drum, shruti box. Limited space. $40. The Temperance Center, 453 White Plains Rd, Ste 203, Eastchester. Must preregister/prepay: 914.793.2600. TheTemperanceCenter.com. Transformational Teaching – 1:30-4:30pm. Use intention and conscious communication to facilitate wisdom in individuals and groups. With Ken Nelson and Lesli Lang. The Yoga Studio, Club Fit, 584 N State Rd, Briarcliff Manor. Info/fee, Audrey Brooks: 914.582.7816. ytayoga.com. No location or city. Autoimmune: The Toll of Chronic Physiological Starvation – 2-4pm. With Dr. Marizelle Arce. Discussing effects of chronic lack of nutrients, leading to hyper-reactions called “autoimmune” and what can be done to correct degradation of the body. $49. 914.864.0462. Center4Healing.net. Numerologist Julian Michael Helps You Celebrate Your 11:11 Enlightenment – 4-6pm. With Tesla meditation. Discover numerology secrets to know one’s life purpose. Bonus quick readings. $44. KatonahSPACE, 44 Edgemont Rd, Katonah. 914.236.4503. Register online: StarVisionsCommunity.org. Root to Rise: Meditation and Shamanism – 11:30am-4:30pm. With Melanie Ryan. Experience the profound effect of integrating the two ancient healing practices of Tibetan Buddhist Meditation and Shamanism, the ancient healing ways of indigenous people. $120. 914.864.0462. Center4Healing.net. Women’s Full Moon Gathering and Annual Gratitude Circle – 7-8:30pm. Non-denominational monthly gathering, coming together to draw on powerful energies of the full moon. $10 requested donation. DG Sanctuary. 2 Lagrange Ave, Poughkeepsie. 845.473.2206. DreamingGoddess.com. Free Health Lecture: Addictions—How to Break the Cycle through Ayurveda – 12:30-2pm. Presented by Dr. Kaushik’s Ayurvedic and Naturopathic Clinic. Armonk Library, 19 Whippoorwill Rd E, Armonk. 914.273.3887. DrKaushik.com. Malabsorption & Inflammation – 6-7:30pm. Masters Holistic Health Series with Dr. Michael Wald. Absorption is everything. Lean how to promote healthy inflammation for healing. Free. 86 Smith Ave, Ground Flr, Back Entrance, Mt Kisco. Must RSVP: 914.552.1442. BloodDetective.com. Tea & Stones – 6:30-7:30pm – Lecture to connect and learn about gems, stones and their incredible properties. Free. Dreaming Goddess 44 Raymond Ave, Poughkeepsie. 845.473.2206. DreamingGoddess.com. National Smoke Out Day with Lifted Heart Acupuncture – Time TBA. Acupuncture helps with addiction and trauma. Try Ear Acupuncture to support those serious about quitting smoking and reducing stress. At Good Choice Kitchen, 147 Main St., Ossining Info: goodchoicekitchen.com. Holiday Gift Ideas – 6-7pm. Learn about great holiday gift giving ideas and stocking stuffers that support health and wellness from Young Living. Products available for purchase. Reviva Skin and Body Solutions, 929 Main Street, Fishkill, NY. RSVP required: 844.363.7894. Revivabody.com. Slow Medicine Study Group – 6-8pm. Receive Slow Medicine Doctor’s feedback on any health issue participant or loved one is experiencing in an open, relaxed and conversational environment. $45 drop-in. $100 for three. 223 Katonah Ave, Katonah. 914.218.3113. SlowMedicineTherapist.com. Quit Alcohol Simply and Permanently – 7-8pm. Learn about the Weiss Method: helping people around the world overcome alcohol and other addictions. Easier than people ever thought possible.80 percent success. Free lecture. Briarcliff location. 914.705.1805. Weiss-Method.com. Introduction to Kundalini Yoga & Meditation – 7-8:30pm. Suitable for beginners. Practice focused on breath, posture and mantra. A Kriya will be practiced putting teaching into action. Golden Prana Yoga, 223 Katonah Ave, Katonah. 914.232.3473. Speed & Strength Enhancement – 6-7pm. Masters Holistic Health Series with Dr. Michael Wald. Food and Nutritional Supplement Timing Secrets. Free. Marti Martial Arts Academy, 118 Rte 117, Bypass Rd, Bedford Hills. Must RSVP: 914.552.1442. Mindfulness & Meditation – 7-8:30pm. With Patricia Bloom, Learn foundational practices of mindfulness meditation: stillness, body scanning, mindful movement, plus informal practices to relieve stress. All levels. $10. Sacred Spirit Yoga and Healing Arts Center, 343 Broadway, Dobbs Ferry. SacredSpiritYogaCenter.org. 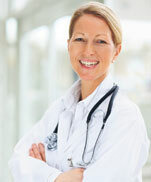 How Does a Naturopathic Doctor Differ From an MD? – 7:30pm. Dr. Kurt Beil, discusses integrative approach of naturopathic medicine: herbalism, nutrition and acupuncture to promote health and more. Rye Free Reading Room, 1061 Boston Post Rd, Rye. HolisticMoms.org. Being Mindful: Enriching Your Everyday Life – Nov 17-19. With Sharon Salzberg and George Mumford. Weekend retreat exploring the vast potential of life through the cultivation of mindfulness and compassion. GarrisonInstitute.org/enriching. Writing To Awaken – Nov 17-19. With Mark Matousek and Maria Sirois. In this workshop, gain tools to help flow between feelings of loneliness and belonging with more clarity, calm, curiosity and humor. GarrisonInstitute.org/writingtoawaken. Live DJ Flow – 7-8:30pm. With MaryRose in a specialty flow for vitality with international yoga and Dj HiFi mixing live beats. Post practice mocktails by the Firefly Juice bar, 992 Main St, Fishkill. Reserve mat: FireflyFishkill.com. Reiki 1 & 2 – 11am-4pm. With Reiki Master Marcus Feighery. $275. Call Synchronicity to reserve space: 845.363.1765. Info: synchronicityny.com. Physical Origami Master Class – Noon-2pm. With David Regelin. Practice while gaining an understanding on how one posture folds and unfolds into another. $45 nonmembers. Saw Mill Club, 77 Kensico Dr, Mt Kisco. Visit: SawMillClub.com. Inversion Workshop – 1-3pm. Learn the fundamentals of an inversion. Amazing for depression and to build strength and confidence. $30. beBhakti Yoga Center, Beacon. BebhaktiYoga.com. Free Health Lecture: Fats – Sugar – Salt—Helpful or Harmful? – 3-5pm. Light refreshments will be served. Yellow Monkey Village, 792 Rte 35, Cross River. 914.875.9088.DrKaushik.com. New Moon Gong Bath – 4-6pm. Gentle Kundalini Yoga Kriya followed by an extended relaxation with gongs. $30. Golden Prana Yoga, 223 Katonah Ave, Katonah. Preregistration required: 914.232.3473. Partner Yoga – 5-7pm. With Danielle and Soledad. Bring a favorite person for a fun and peaceful partner yoga class. Quest Yoga Arts, 11 E Main St, Mt Kisco. Preregister: 914.241.9642. QuestYogaArts.com. Psychic Reiki: Healing Secrets for Transformation – 5:30-7pm. With Brett Bevell. Energy healing is an expression of our infinite connection to divine life force and divine imagination. While moving through us, divine forces bring healing, wisdom and more. $30. 914.864.0462. Center4Healing.net. Kundalini Yoga & Gong Meditation – 9-10:30am. With Pritam Bani Kaur. Use movement, sound current, breath and meditation to relax, heal mind and body. All levels. First class free. $20 drop-in. Devotion Yoga, 2055 Albany Post Rd, Croton on Hudson. 914.930.7707. DailyDevotionYoga.com. Awaken Wellness Fair – 10am-5pm. Speakers, healers, vendors and readers. 100+ exhibitors, 1000 guests. Double Tree Hotel, 455 S. Broadway, Tarrytown. Tickets/info: AwakenFair.com. Double Workshop: Pilates and Lymphatics and Historical Pilates Exercises – 10am-5pm. Workshops hosted by Sean Gallagher and Elaine Ewing. $250. The New York Pilates Studio in NYC, 330 W 42nd St. 845.876.5686. RhinebeckPilates.com. Harvest Wreaths – 2-5pm.Create a beautiful circle of natural materials to represent and facilitate abundance and gratitude in one’s home and life. $30. Hands of Serenity Healing, 1129 Main St, Fishkill. Register: 845.896.1915. HandsOfSerenityHealing.com. Tibetan Bowl Sound Journey Workshop – 3-4:30pm. Sound, an important role in our lives in releasing stress, awaken creativity and more. Experience inner peace and power of sound healing. Quest Yoga Arts, 11 E Main St, Mt Kisco. Register: QuestYogaArts.com. New Moon Meditation and Manifestation – 4-5pm. By Donation with Amy Benesch. Call Synchronicity to reserve space: 845.363.1765. Info: synchronicityny.com. Free Health Lecture: Depression and Anxiety—Cultivating a Chemistry of Joy through Ayurveda – 12:30-2pm. Presented by Dr. Kaushik’s Ayurvedic and Naturopathic Clinic. Armonk Library, 19 Whippoorwill Rd E, Armonk. 914.273.3887. DrKaushik.com. Evening of Wellness – 7-8:30pm. Attend and see how eight minutes on the Bemer mat could improve life. Free. Sarah’s House of Health, 900 S Lake Blvd, Mahopac. Info, Sarah Montgomery: 845.803.8028. Cancer & Autoimmune Disease – 6-7:30pm. Masters Holistic Health Series with Dr. Michael Wald. Aging is an allergy. Breakdown leads to more breakdown—stop the cycle naturally. Free. 86 Smith Ave, Ground Flr, Back Entrance, Mt Kisco. Must RSVP: 914.552.1442. BloodDetective.com. Westchester Holistic Network Meeting – 7-8:30pm. Networking begins 6:30pm. Identify, capitalize on strengths with spiritual enlightenment coach, Blu Butterfly. WHN members/ first-timers free. $10 repeat non-members. Ixchel Center, Hartsdale. Register: westchesterholisticnetwork.org. Unwind – 7:30-8:45pm. With Melia. We will “roll” stiff tired muscles in patterned sequences to help one’s entire skeleton decompress as muscles unwind. $20. SkyBaby Studio, 75 Main St, Cold Spg. 845.265.4444. SkyBabyYoga.com. Thanksgiving Morning Gratitude Flow – 9:30am. With Tara and community. A heart opening, energetic practice to start one’s Thanksgiving Day. 992 Main St, Fishkill. FireflyFishkill.com. White Friday – 10am-6pm. Frenzied Black Friday is transformed to our annual White Friday, with light refreshments and rejuvenating holiday magic all weekend. Dreaming Goddess, 44 Raymond Ave, Poughkeepsie. 845.473.2206. DreamingGoddess.com. Faerie Crowns and Faerie Wings – 1pm and 2:30pm. 10 years and under must be accompanied by an adult. $15 one class. $25 both classes. Hands of Serenity Healing, 1129 Main St, Fishkill. Register: 845.896.1915. HandsOfSerenityHealing.com. Core Principles of Pilates – 6-7:30pm. With Kate Petagine. An introductory workshop to a mat Pilates practice. Preregistration required. $25. Fishkill. InnerBalanceStudio.org. Mediumship Circle – 7-8:30pm. With Carla Blaha. $40. Call Synchronicity to reserve space: 845.363.1765. Info: synchronicityny.com. Serenity Saturday – 11am-6pm. Crystal Reiki sessions are just the thing to start off the holidays bright and balanced. $50. Hands of Serenity Healing 1129 Main St, Fishkill. Appt: 845.896.1915. HandsOfSerenityHealing.com. Giving Thanks Community Yoga Gathering – 4-5:30pm. With Franklin Shire. All Levels yoga class to practice gratitude and benefit the Dobbs Ferry Food Pantry. $20 through Nov 19. Sacred Spirit Yoga and Healing Arts Center, 343 Broadway, Dobbs Ferry. SacredSpiritYogaCenter.org. Shamanic Reiki Hearth Circle – 5:30-7pm. With Melanie Ryan. Our spiritual home where we come together in community. Group reiki healing, sharing, meditations and shamanic journeys. $20 door. Proceeds are donated to a non-profit for indigenous shamans. 914.864.0462 Center4Healing.net. Psychic Sunday – Noon-5pm. Psychic fundraiser for local families. 20-min readings for $25. Hands of Serenity Healing 1129 Main St, Fishkill. 845.896.1915. HandsOfSerenityHealing.com. Natural Way to Quit Sugar, Overeating, Smoking – 12-1pm. Learn simple, effective method for quitting smoking, alcohol, sugar and more. 80 percent success. Simpler than most dare to believe. Free lecture. NYC location, E 37th btwn Park & Lex. 914.705.1805. Weiss-Method.com. Quit Alcohol Simply and Permanently – 1-2pm. Learn about Weiss Method: helping people around the world overcome alcohol and other addictions. Easier than ever thought possible. 80 percent success. Free lecture. NYC location, E 37th btwn Park & Lex. 914.705.1805. Weiss-Method.com. Free Health Lecture: Ayurveda and the Winter Season—Preparing for and Thriving in the Dark and Cold – 12:30-2pm. Presented by Dr. Kaushik’s Ayurvedic and Naturopathic Clinic. Armonk Library, 19 Whippoorwill Rd E, Armonk. 914.273.3887. DrKaushik.com. Memory, Energy & Anti-Aging – 6-7:30pm. Masters Holistic Health Series with Dr. Michael Wald. Brain-protection, energy-nutrition & reversing biological aging basics. Free. 86 Smith Ave, Ground Flr, Back Entrance, Mt Kisco. Must RSVP: 914.552.1442. BloodDetective.com. Life-Changing Skincare – 6-7:30pm. Learn how to heal problematic skin conditions with dermatology-inspired skincare that targets aging, acne, sensitivity, dryness, and sun damage. Reviva Skin and Body Solutions, 929 Main Street, Fishkill, NY. RSVP required: 844.363.7894. Revivabody.com. Connect with the Angelic Realm and Enlightened Beings – 7-9pm. With Carol Essig. Experience meditation and receive channeled energy healing touch of divine energy. Max 20. $25. Unitarian Universalist Fellowship, 236 S Bedford Rd, Rte 172, Mt Kisco. 914.236.4503. Register online: StarVisionsCommunity.org. The Order of Melchizedek and Priesthood Class for Ordination into Interfaith Ministry – 1-4:30pm. With Rev Dan Chesbro. Learn history, ceremonial rituals, legal duties and more. $100 class. $250 class and ordination with certificate. KatonahSPACE, 44 Edgemont Rd. 914.236.4503. StarvisionsCommunity.org. Roland Comtois, Medium, Spirit Guide, Author and Radio Show Host – 6-8pm. His channeled messages validate the afterlife including transcribed messages on Signature Purple Papers. Receive hope and healing. $80. Bedford Presbyterian Church, Village Green.